Stephen Anastasi’s first two books are fantasy stories that show the depth and quirky nature of his creative mind. The first books in two different series, they are books that are hard to put down and leave you wanting more. One of the questions I asked Stephen in our interview was what his greatest joy in writing is. He said, ‘I get excited when I see my work stop a reader in their tracks. One of my sons started reading something of mine once. He was a wriggly kid and I didn’t think he would make it past a paragraph. He kept hitting ‘scroll down’ and couldn’t walk away. He ended up standing up, rocking left and right almost violently with the need to run around, but he just couldn’t. These books are just the beginning from this author. Expect much more in the future. Learn more about these two books below. 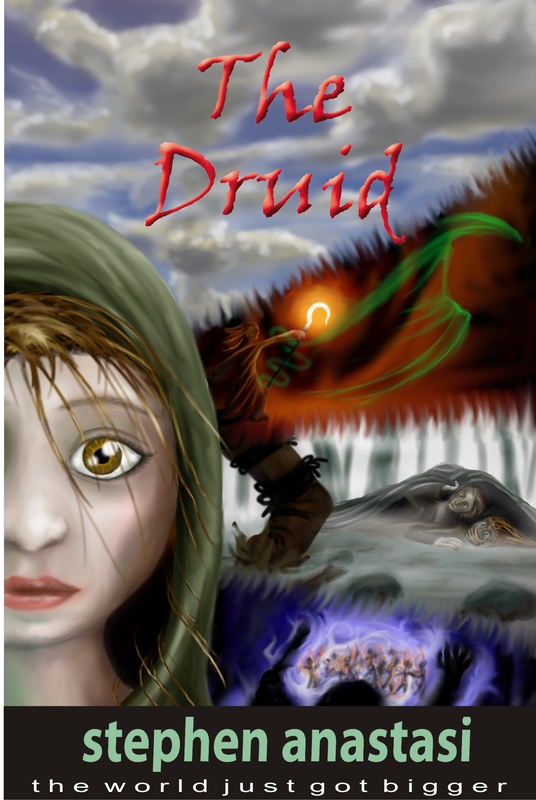 The Druid is set in the far distant past and begins with the story of the hardship the main character, Titian, endures. She is a misfit in her world. A simple, poor, sheep herder, she is mistreated by many. She lives in fear of the monsters who roam her world snatching children as slaves – or to eat, she fears. The girl has a secret that she is hiding from her tribe – a secret that will mean being outcast – or worse – if she is discovered. But she just can’t stop what she is doing. Only her best friend Myriam knows her secret. Then they come – the dreaded Swarthymen. She runs for her life but is captured by someone from another tribe. Friend of foe – she has no way of knowing. This incident leads to the exposure of Titian’s secret. She must flee her tribe to escape certain death, and to save her best friend. The books contain magic, but not the usual wand waving kind. It is a magic that comes from within and is possessed by few. The druids believe Titian has this magic. Her adventure leads her through war, capture, and escape, to the discovery of the Land of the Rainbow’d Sun – a land of dragons and strange and scary creatures, but a land where she hopes she and her new tribe, the druids can live in peace. Titian is a strong, loyal and exciting character. Even though this book is set in the far distant past, it is a coming of age story that deals with many of the issues our present day children face – overcoming adversity, the bravery to be who you are, being a loyal friend, and the courage it takes to fight for what is right. It is the first book in a series titled The Land of the Rainbow’d Sun. It will appeal to readers from 9 years. ‘In the Barnicoat family, this means inheritance, boy!’ his Uncle Horvest had impressed on him many times. ‘It means the House of Two Rooms! It means you’ll come into your Coat!’ Uncle Horvest often spoke with exclamation marks. How one could ‘come into a coat’. Garney had no idea. He had asked, but Uncle Horvest clammed up—only ‘Twelvers’ and over were allowed to visit or even talk about it. There was something secret about Two Rooms. His adventure begins in Two Rooms and takes him on a rollicking fast paced journey into the 4 ½ dimension where everything is nothing like it seems. To talk more about this book would be to give away too much of the plot, but suffice to say, it contains all the elements that children (and we big children) love – magic, dragons, wild and amazing creatures and villains. But none of these things have been dealt with in the usual manner. There is no waving of magic wands and fighting dragons with swords etc, but you will not be disappointed in the originality used to include these tried and true elements. 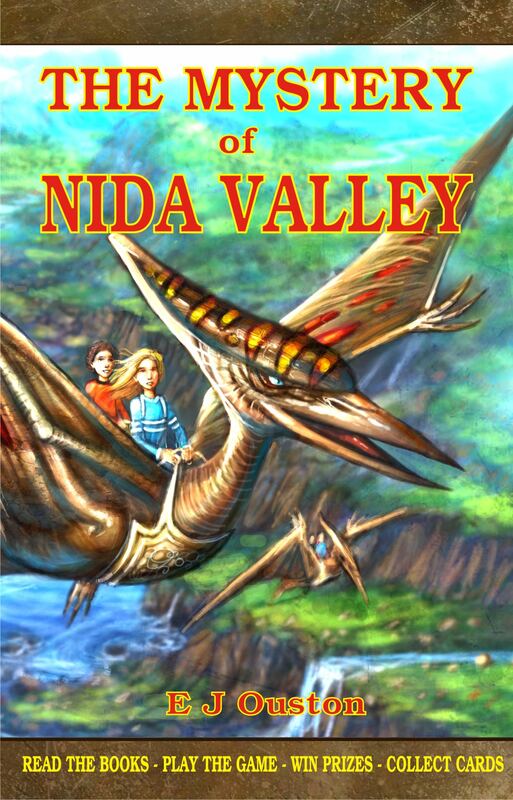 It is also a coming of age story and explores the depths this boy will go to, to protect his physically handicapped cousin who joins him on this adventure. Garney Barnicoat is strong, loyal and admirable. He carries the weight of a civilization on his young shoulders and takes it all in his stride. It is the first book in a series titled The Mathemagicians of Yore. It will appeal to readers from 9 years. How does a teacher of mathematics and physics who believes he has worked out the true path of the evolution puzzle come to write fantasy stories for children? Join this blog tour to learn more about this complex writer. The blog tour for Stephen Anastasi starts today. 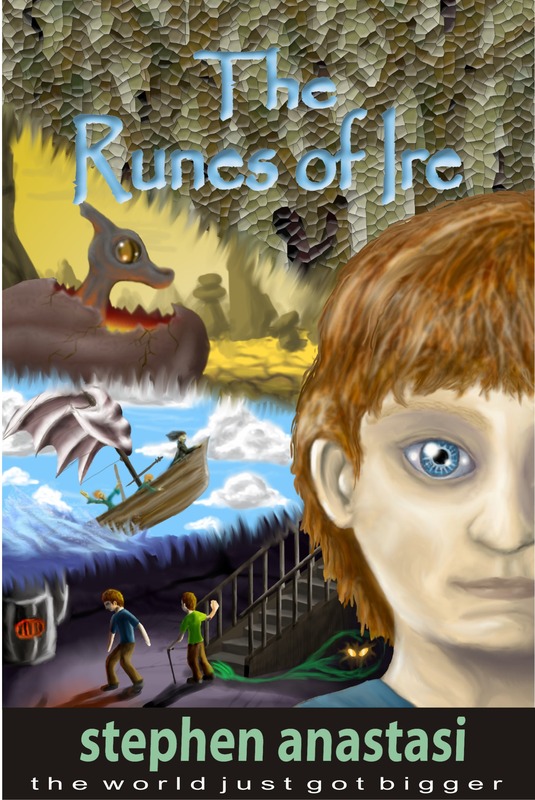 His two books The Druid, the first book in The Land of the Rainbow’d Sun series, and The Runes of Ire, first book in the series Mathemagicians of Yore, were released this month and his following is growing daily. Even though these books are fantasy stories for children, Stephen’s writing style and subject is quite diverse. I delved deeply into the mind of this prolific author to find the answers to the questions I was sure you would like to ask. Over the next ten days, you will learn much about this fascinating author and discover the reason I decided to invest in his books. Below you will find the tour spots and dates. Please share his tour; you will learn something new each day. April 26th: http://bluedingo.ning.com – guest post interview. May 1st: www.buzzwordsmagazine.blogspot.com Vicki Stanton – Review Anastasia Gonis. Date to be advised: http://www.sherfordbear.co.uk Deb Cullen – Review. 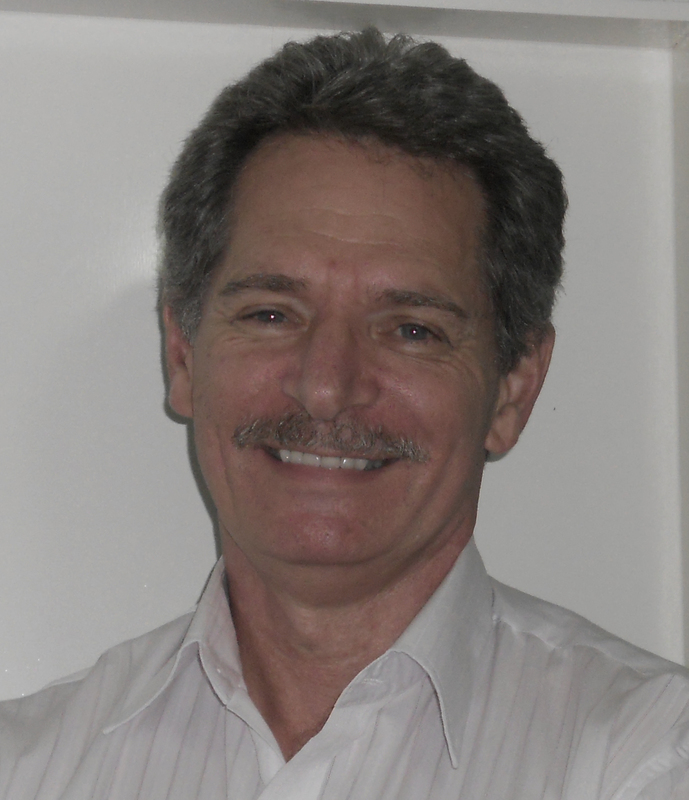 If you are on the Gold Coast this weekend, pop into Supa Nova and say hello to author Stephen Anastasi. For all his confidence that his books are great, he is new to ‘putting himself out there’, so take pity on him and seek him out to say hello. He will be very grateful. You will find him amongst the many exhibitors there, maybe looking a little lost in the crowd. Read on to learn more about this debut author. When I first met Stephen Anastasi at a library event last year, I was a little taken aback at his confidence in his writing. No shrinking violet, Stephen told me how great his stories were and how much I would love them. At that stage, they were published only as eBooks. Having met many writers, I had deduced that the ones who most loved and boasted about their writing were mostly wrong. Being an amateur psychologist, I decided that they boasted to cover a feeling of uncertainty – a position of, ‘if I tell everyone how wonderful they are, it will somehow make it so’. The best writing I had seen came from the ones who were quietly confident that their books were okay. But when I sat down to read Stephen’s book the Druid, I changed my mind. He was right, they are wonderful and I did indeed enjoy the books. His writing style is a little quirky and he has a tendency to make up words if he can’t find one that suits (as did many famous writers, like Shakespeare, he constantly reminds me), but his writing is tight and entertaining and the stories are woven from an amazing imagination. When I learnt what he did for a living, one obvious question came to mind; how did a teacher of mathematics and physics come to write, and in particular, fantasy stories for children? Stephen has released two books at the same time, a concept that is very unusual – especially as they are both the first books in two different series. The Druid was shortlisted for a Varuna Award – one of Australia’s most prestigious awards for emerging writers. The author has had a short story published; a true story of a man lost at sea who had to swim many kilometres home. But mostly, he likes to write about the quirky side of life—funny, scary, odd; for example his other stories are; the true secret world of a cemetery manager (A Tale from the Crypt), the life of a rat dog trainer (Rat Dogs), the rise to sentience of a supercomputer (Carlisle’s Mind), the world of a man who is never allowed to die because he knows too much (A Note from 23C), and the endpoint solution when the world is faced with an Easter Island scenario (The Brotherhood of the Apocalypse). He is also working on a book that will cause great controversy – his theory of evolution – a theory not supported by the many other books on the subject. These books are only the beginning for Stephen Anastasi. That he will become well known author is a given. You will hear much more of him in the future.